A small bronze water dropper in the form of a bird, seated with its wings folded and tail lifted. The back has a small hole to enable water to be poured drop by drop from the bird’s beak. 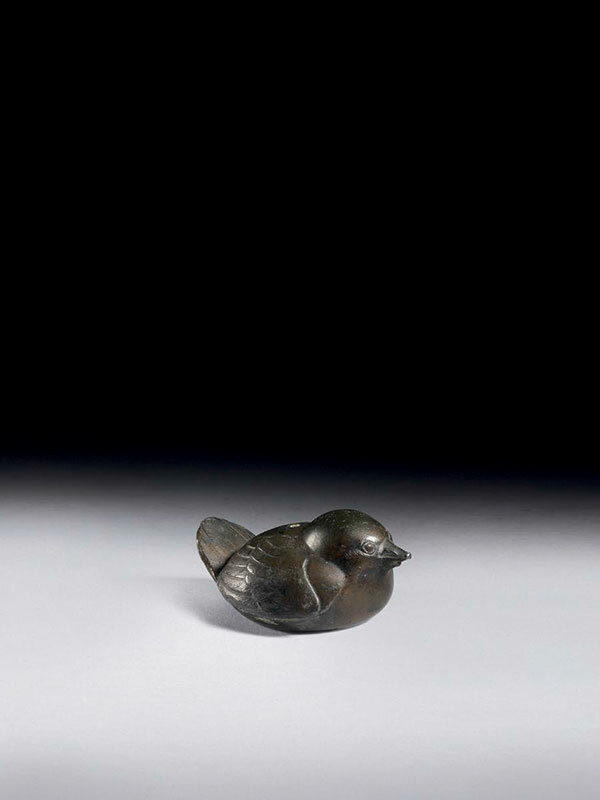 It is possible that this charming bronze bird once formed part of the equipment of a suzuribako or writing box and would have enabled the user to mix ground ink with water, to paint or make calligraphy.